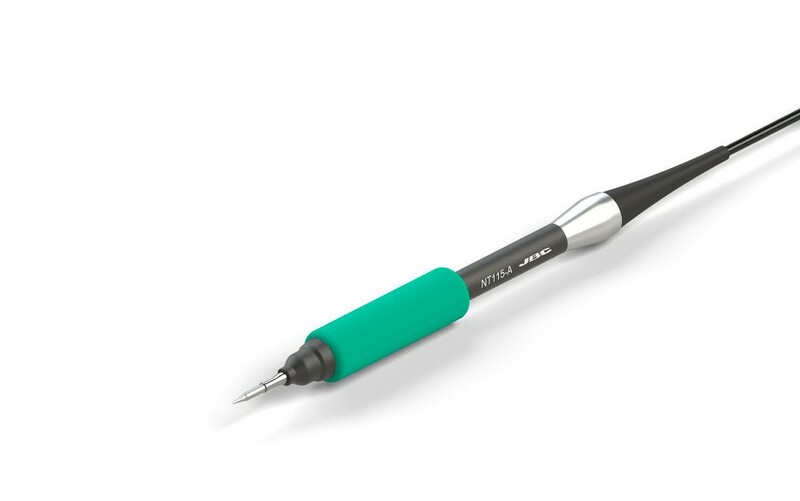 The JBC smallest Nano Handle NT115 provides the highest precision when soldering SMD components. Shortest distance Tip-to-Grip Provides greater manual control of the tool, including when using a microscope. Soft grip The grip offer a soft and comfortable feel and prevent the fingers from sliding down. Works with NASE-C and NANE-C Nano stations and C115 cartridges. Easy grip replacement Using the fitters you can easily change the damaged grips (Ref. 0018662). Not compatible with C105 range.